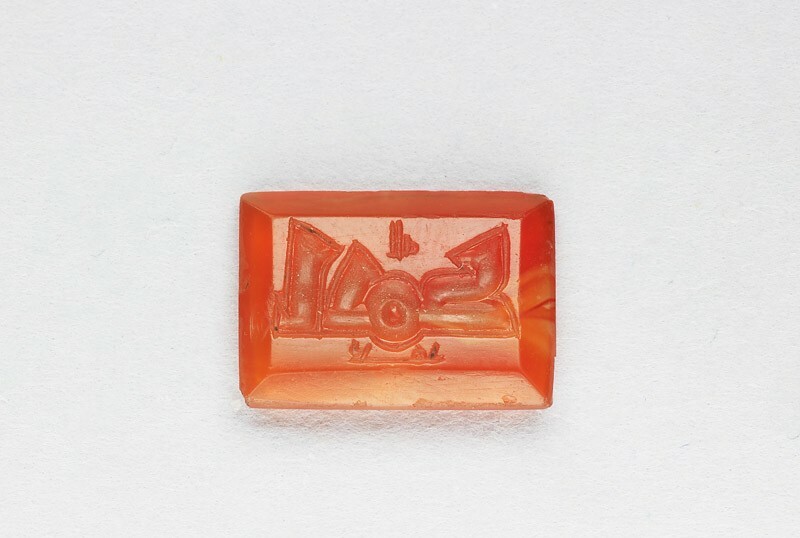 Cornelian; bezel, bevelled towards the front; rectangular; back angle very slightly cut. Three lines of kufic script, without dots. The second line is much bigger than the two others.